Hear ye, Hear Ye, Boys and Girls! Luzon, Vizayas and Mindanao! May I have your attention please! The world’s most prestigious adventure race is now accepting applicants for its first Philippine edition! 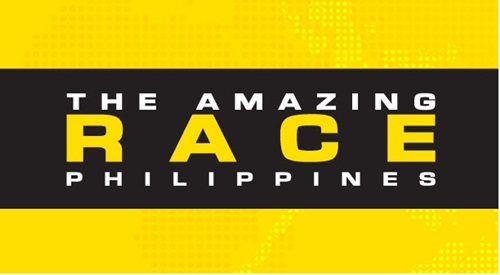 The twelve-time Emmy Award winner for “Outstanding Reality-Competition Program” arrives on local shores with an open call for contestants of The Amazing Race Philippines. The show’s producers consider the Philippines as one of their favorite places to shoot, and now you can take part in this grand event too. For online auditions: visit www.theamazingrace.ph for the link where you can fill up the online registration form and upload your audition video in AVI, MOV or MPG4 format. The audition video’s running time should be a minimum of 1 minute and maximum of 3 minutes. For mail-in auditions: download the application forms at www.theamazingrace.ph and send the completed forms together with a DVD of your audition video to the TV5 office (21st floor Marajo Tower, 26th corner 4th sts. Bonifacio Global City, Taguig). For on-ground auditions: watch out for announcements of audition dates on different venues. Both team members must be present and come prepared with the completed application package. Note: Carefully review the Terms & Conditions and Application Procedure. Applications must be received by April 2, 2012 (Monday) 6:00 pm Manila time.